Caylym's Guardian system enables hundreds more available aircraft to join the fight against wildfires, from the air, twentyfour hours a day. 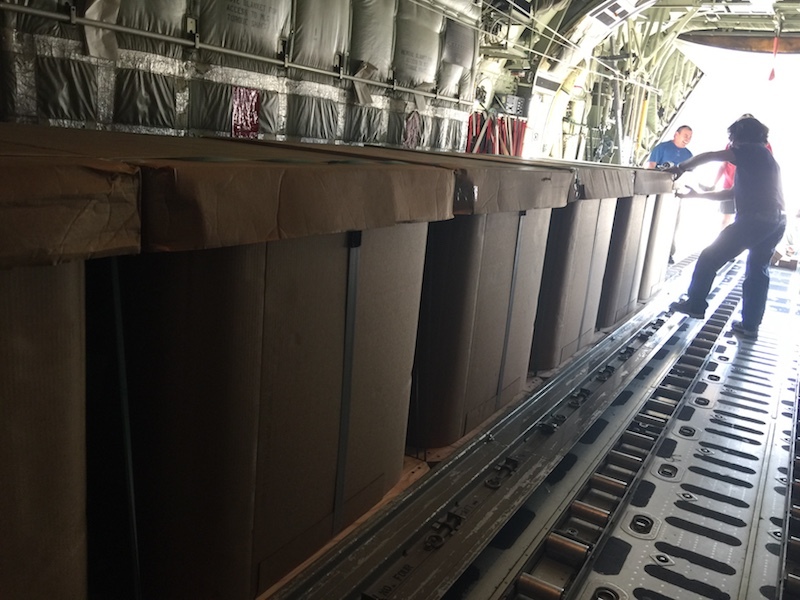 Using well established cargo delivery procedures, the Guardian allows formations of aircraft to attack wildfires safely, from higher altitudes, at lower cost. 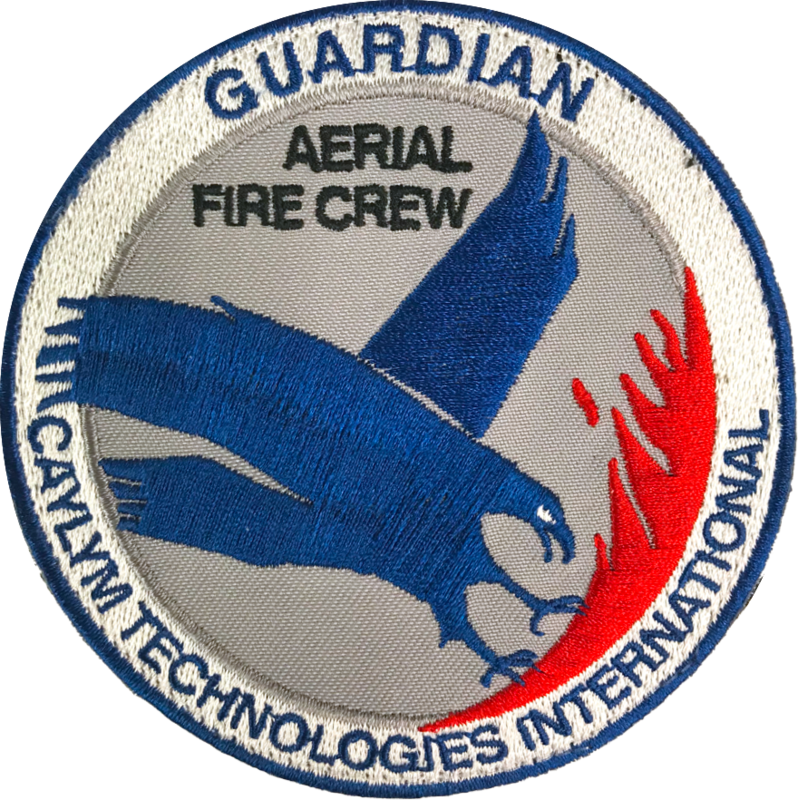 The Guardian is a significant advancement in Aerial Firefighting. Caylym’s development team, based in Fresno Ca., has designed a patented firefighting system that is simple and universal. The Guardian is an 8-ply, continuously wound corrugated container that holds 264 gallons or 1000 liters of liquid. Unlike other systems, no aircraft modifications are required to use The Guardian. This advanced system is deployed using the well-established Container Delivery System (CDS) procedures from any rear-loading cargo aircraft. Each Guardian releases its contents below and behind the aircraft in an overlapping pattern creating an instant and accurate rainstorm. The Guardian has demonstrated the ability to deliver a payload designed for a direct attack or for laying a long, consistent, solid line for retardant. The Guardian transforms hundreds of rear-loading aircraft into large airtankers without the need for airframe modification. 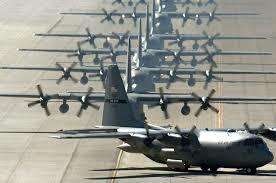 For example a C-130 can deploy 16 Guardians with a total of 4224 gallons of liquid. Since the Guardian can be used by the ANG the need to purchase additional, modern aircraft and aircraft for spare parts is addressed since the ANG aircraft are maintained at the highest standards. Using existing military aircraft, The Guardian expands a country’s aerial firefighting capabilities without the need to perform any aircraft modifications. Local and national governments no longer need to maintain and store a single-mission firefighting fleet. For example, the United States only has a dozen or so high capacity water bombers, yet the ANG has hundreds of military C-130s capable of delivering the Guardian. These military aircraft, operated by State Air Guard Units, can serve their home or neighboring states in times of need. This potential aerial firefighting fleet is operated and maintained by the ANG and is mission ready. The Guardian can be assembled, filled and loaded in minutes with just two workers. 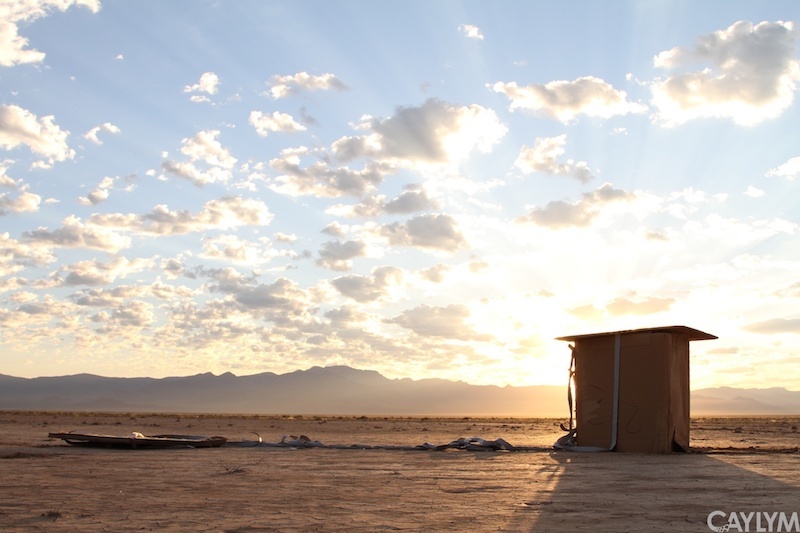 Though the Guardian is 100% recyclable and 90% biodegradable each individual Guardian unit and its components remain tethered land inside the drop zone for easy clean up. Units can be collapsed into their space saving shipping configuration and recycled. No airframe modification on any aircraft is required to accommodate the Guardian. 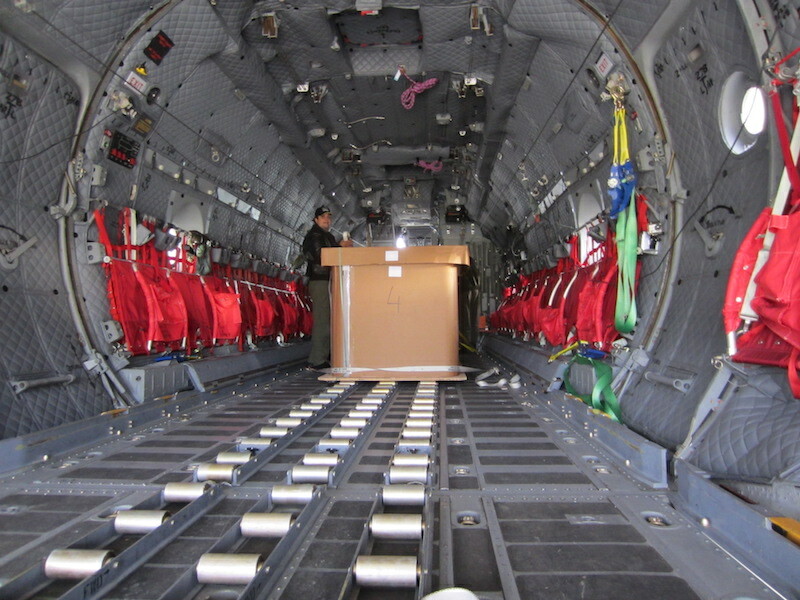 The Guardian transforms rear-loading cargo aircraft into a firefighting platform. Units hold 264 gallons (1,000 liters) of liquid (fresh/salt water, gel, or foam). A C-130 carrying 16 units can drop any combination of units or the entire cargo, increasing flexibility and utility of each sortie. 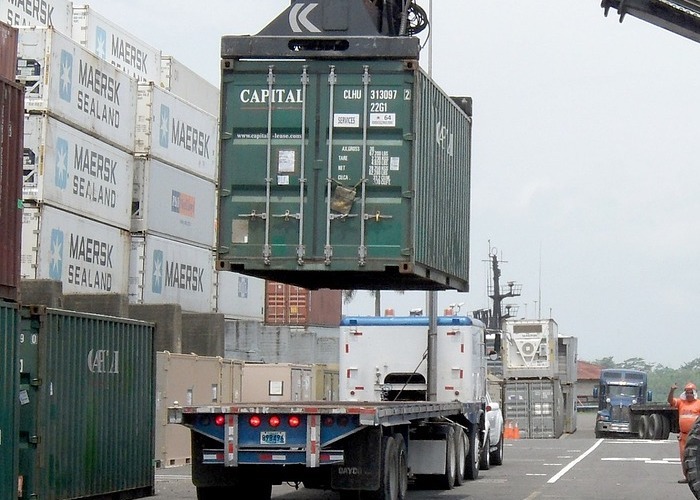 Crews use standard Container Delivery System (CDS) procedures to deliver the Guardian. Aircraft can fly and release payload at higher altitudes if safety is a concern. The ability to release payload at higher altitudes may allow for day and night operations. Currently, aircraft start/stop flying during dawn/dusk. Using CDS procedures increases aircraft and crew safety. 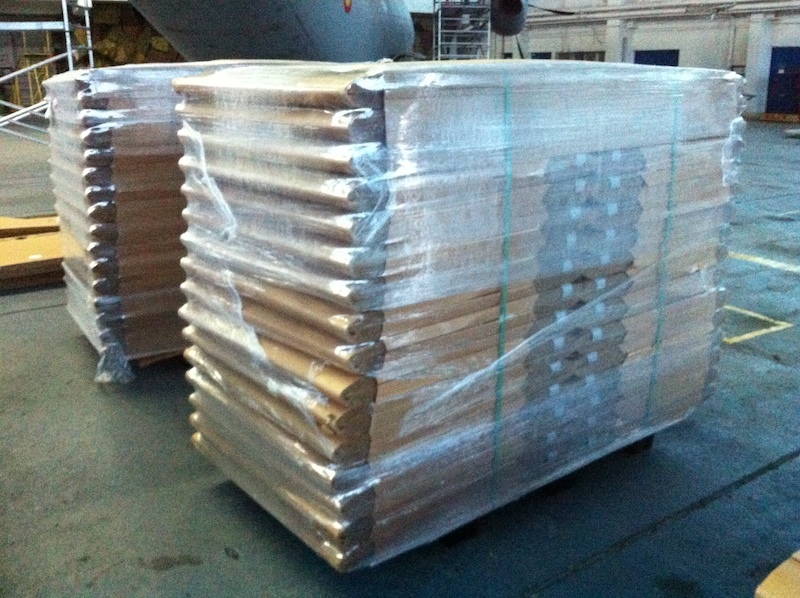 Delivery profile ‘gentle’ on aircraft. Empty, tethered boxes fall in the drop zone. The Guardian’s coverage delivers the payload at or above industry requirements. The Guardian releases contents below and behind the aircraft eliminating liquid contact with the airframe reducing cleaning and maintenance costs. 7 Guardian can lay out a line 550 x 65 meters. 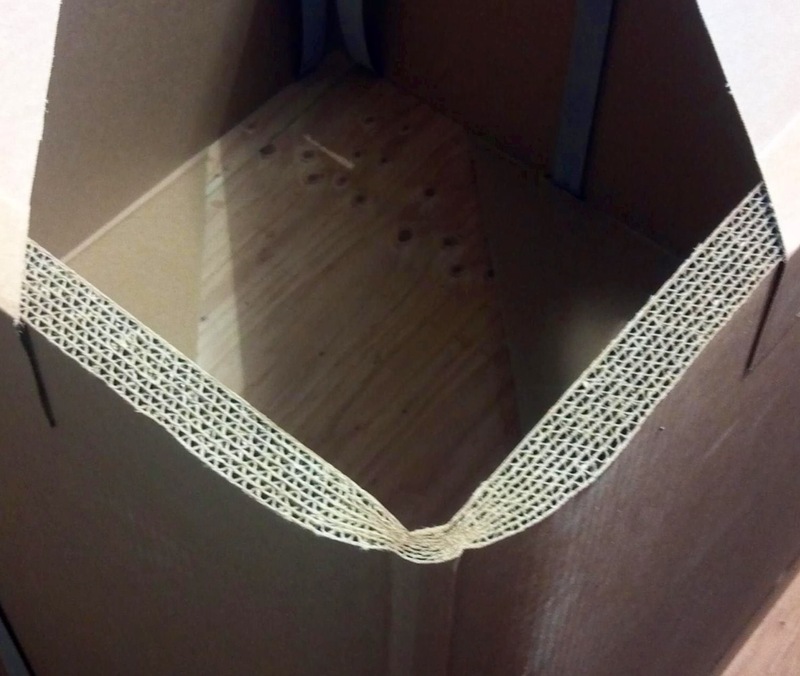 The Guardian’s 8 layer, wound sidewalls lack any seams or joints and provide a solid, reliable container. The Guardian weighs 105lbs empty and can easily hold 2400+lbs; a 23:1 one liquid to system weight ratio. The Guardian contains no metal, pyrotechnics, sharp edges, seams or weak spots. Each unit requires only 2 workers and minutes to assemble, fill and load. No specialized hardware or skill required. The Guardian ships in a collapsed configuration to minimize shipping and storage footprint. 90 Guardian can be shipped in a 80ft container. The Guardian can be prepositioned in high risk areas for quick response. 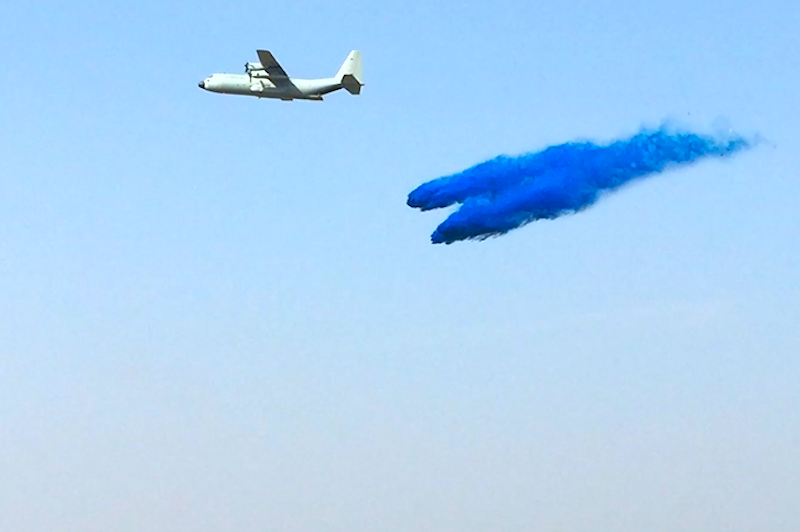 Nov 2013: Leonardo adopted Guardian as Aerial Firefighting system of choice for the C-27J Spartan globally. Jul 2014: First drop C-130J Italy - Italian AF. 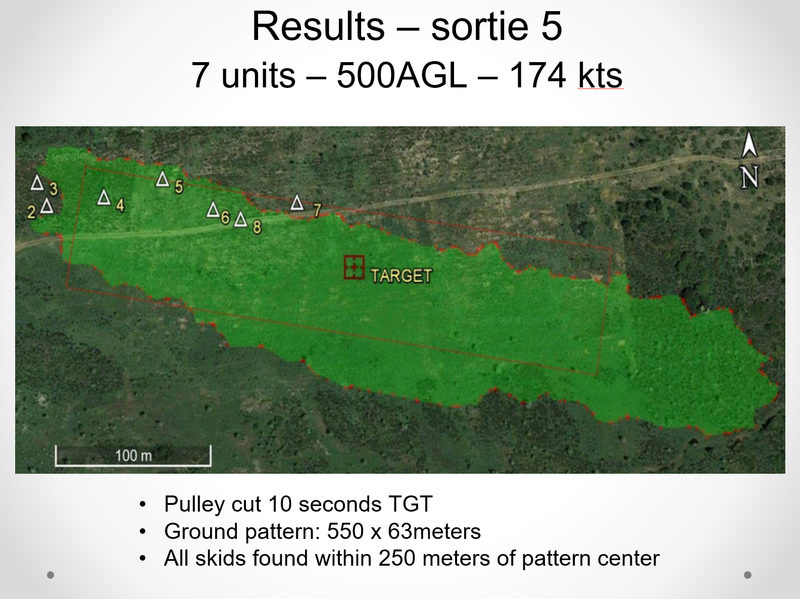 Jul 2014: The IAF and the Italian Civil Protection Service conduct a two-week capability and ground coverage results evaluation in Sardinia with resounding success and above expectation results. Sep 2014: Italian AF certification on the Guardian on both the C-130J and C-27J. 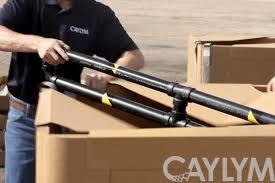 Jul 2015: Caylym moves to 42,000 sq/ft production facility in Fresno CA. 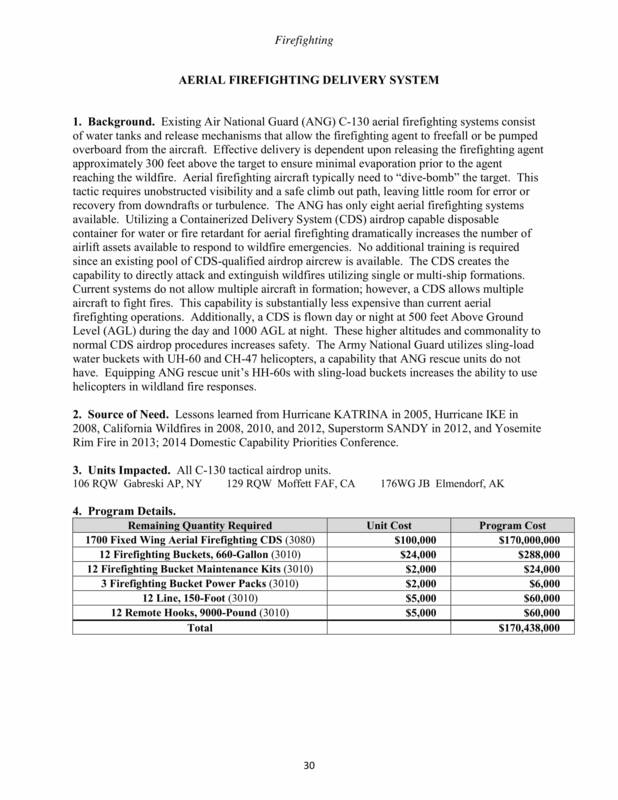 Jan 2016: US Forest Service recommends (US) ANG engage in the testing of CDS firefighting. Mar 2016: First drops with C-130H in Thailand - Royal Thai AF. June 2016: Caylym is invited to Colombia to brief Air Force on the Guardian and enters in to talks to evaluate it in the Colombian Air Force CASA C-295. Aug 2017: Romanian Air Force successfully deploys Guardian system over active wildfire. 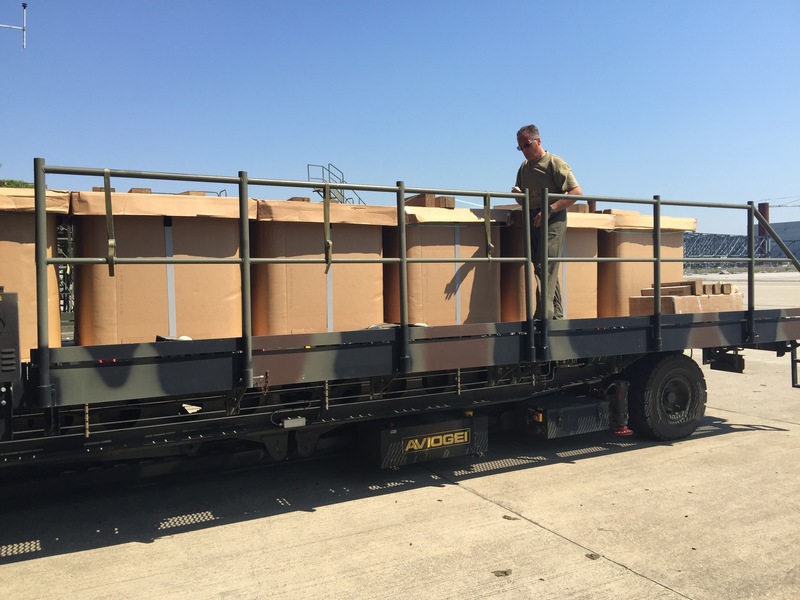 Jul 2018: Romanian Air Force responds to Greece as part of EU's Civil Protection mechanism to deploy Guardian system on Greece's wildfires. Caylym will provide initial and continued training and certifications for crews involved with building, loading and deploying the Guardian system. Crews that become Guardian™ System certified will have a complete understanding how to build, fill, rig, load and secure the Guardian on the participating aircraft. Aug 2015: GSA certification received: GS-07F-05CA. GSA Schedule 84 (Fire and Flood response systems) awarded.